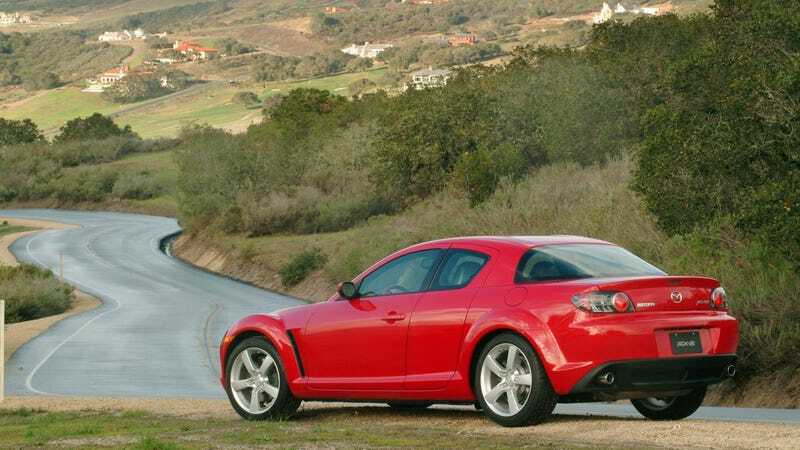 America’s best-selling car, the Mazda RX-8 has been recalled (again) for some fuel system and suspension weirdness. It’s a really strange thing to hear about since the cars are basically the most reliable and bulletproof things ever made. Mazda is recalling certain MY 2004-2008 RX-8 vehicles manufactured from April 10, 2003 through February 18, 2008. On the subject fuel pump module, due to insufficient durability performance of the fuel pump pipe, the strength of the fuel pump pipe may deteriorate by the heat from the engine and exhaust pipe. Therefore, continuous use may lead to eventual cracking of the fuel pump pipe and subsequent fuel leakage. Note that a saddle-type fuel tank is used with two pumps; one is used as the main fuel pump and the other for fuel transfer from the sub-tank. The main fuel pump is the subject of this campaign. Almost 70,000 cars are affected by this. Mazda is recalling certain MY 2004 RX-8 vehicles manufactured from April 10, 2003 through May 6, 2004. On the front suspension lower control arm, due to inappropriate caulking process of the ball joint, the ball joint socket area may become cracked. Therefore, if an abnormally large load is applied to the suspension during driving, the ball joint may separate from the socket. In the worst case, the vehicle may become unable to be driven. Almost 35,000 cars are affected by this. Hopefully, this dark time will pass us by quickly and without much drama. Lord knows that owning an RX-8 is a peaceful and heartache free endeavor that everyone should experience.